Discovering that I can replace the oats in a recipe with cooked quinoa has changed my life. Like when I found out that coconut flour could be added to smoothies for extra fiber, or when I was first introduced to the chia seed – all mind blowing moments. Now, I am looking at recipes that call for oats with a whole new eye. Overnight oats – try overnight quinoa! Fruit crumble with oat topping – bust out an apple crumble with a layer of cooked quinoa over top. And… the cookies. I’ve made lots, and lots of cookies. I cannot get enough of the whole quinoa cookie concept. I’m packing them with me on the go, adding them as a side to my morning fruit salads, and treating them as a late evening treat with a tall glass of homemade sunflower seed milk. Plus? I feel SO good eating them. You know, like when you eat something you can almost hear your body say, “YES! This is perfect!” I love it when that happens. 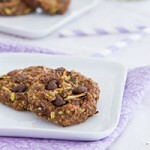 Many of you asked if quinoa flakes could be used in quinoa cookies instead of cooked quinoa. I tried it, not changing anything else in the recipe, and it was a massive fail. However, I know that you can use a mixture of quinoa flakes and ground flax seed in some recipes that call for quick oats. I usually do a mixture of 70% quinoa flakes to 30% flax seeds and use it in place of quick oats in cookie, bar, or square recipes. I haven’t had much luck using that same mix for recipes that call for rolled oats. It’s a whole different ball game with rolled oats. 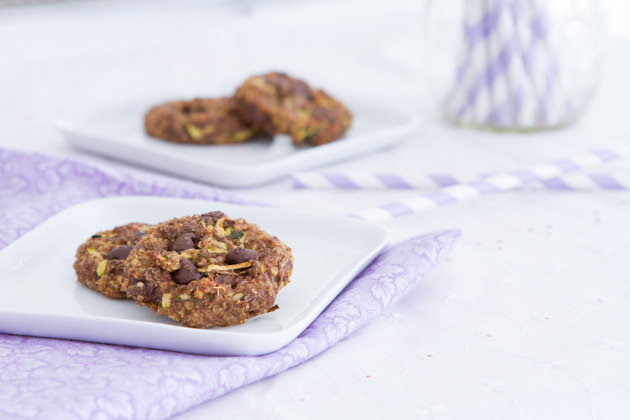 If all you have is quinoa flakes, check out my Sweet Potato Chocolate Chip Cookie Recipe where I used quinoa flakes and flax. They’re really good! 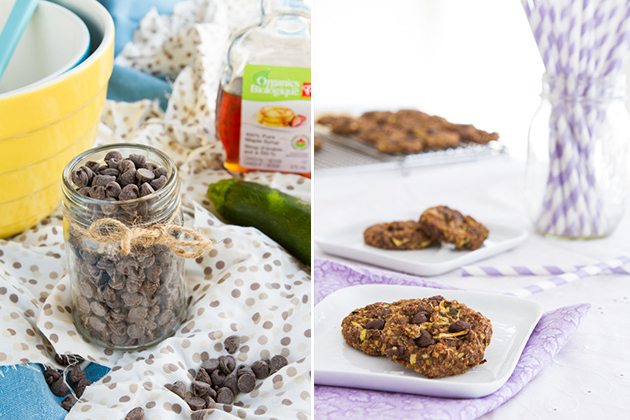 Vegan, gluten-free chocolate chip cookies made with cooked quinoa, maple syrup and fresh zucchini. 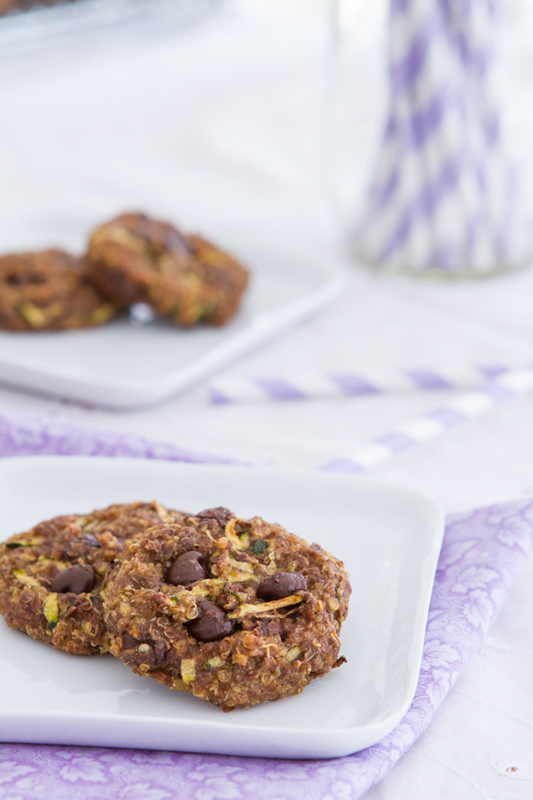 All the goodness of zucchini bread, with a breakfast feel. Add quinoa and water to a saucepan. Cover and bring to a boil. Reduce heat to low, and simmer for 15 minutes. Once complete, ensure that ALL water is gone and the quinoa is fully cooked. Remove from the stove, transfer to a large bowl, and allow to cool to room temperature, about 1 hour. You need to cool the quinoa otherwise it will melt the chocolate chips. Add all dry ingredients to a large bowl. Then, measure 1½ cups of the cooked quinoa and add to the dry ingredients. Stir to coat, until all quinoa is covered in the mixture. Set aside. 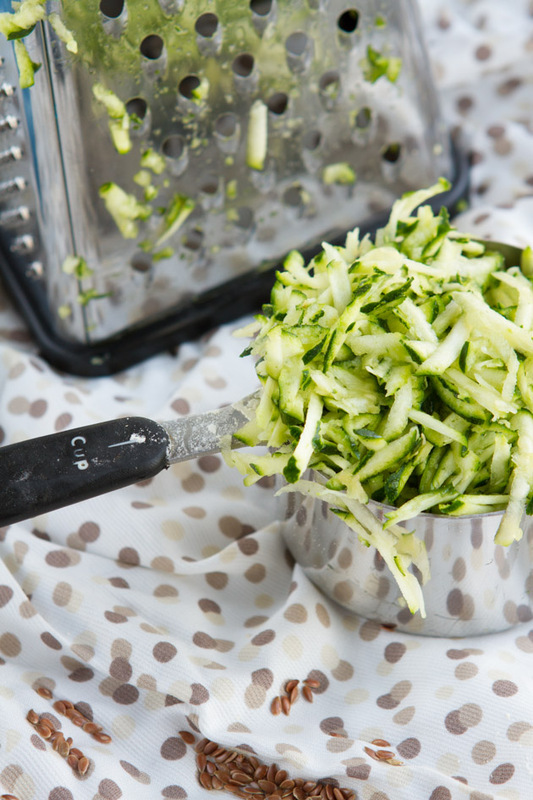 Stir in chocolate chips and shredded zucchini. Oil: you can use any kind of oil here. 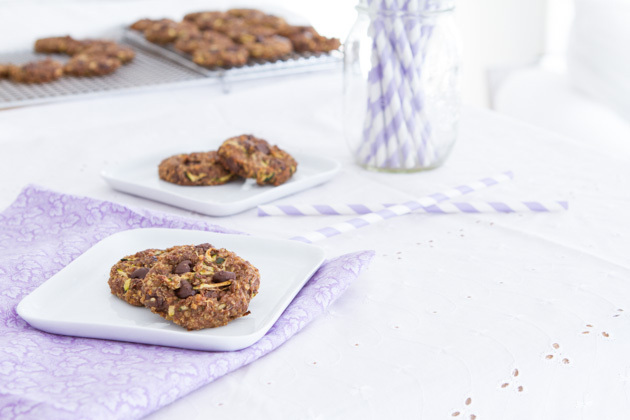 Flour: I have not made these cookies with anything other than Bob's Red Mill Gluten-free All Purpose Flour. I've been told that regular, gluten all purpose does not work. I think you could probably use a 50/50 combination of brown rice flour and white rice flour, or a 70/30 combination of chickpea flour and arrowroot starch, but I'm just guessing here. 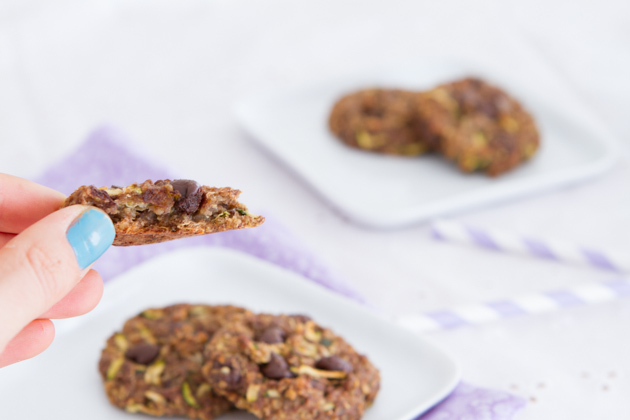 Once you’ve cooked your quinoa and allowed it to cool (so it doesn’t melt the chocolate chips) preheat your oven to 350F and line a baking sheet with parchment paper or a silicon baking mat. Set aside. Add all the wet ingredients to a small bowl and stir well. Pour wet ingredients into dry ingredients and stir to combine. Make sure you ring out the zucchini to remove access water. This will help with the overall result of the cookies. Don’t skip it!